Another very strong Art Deco design with the classix rising sun motif. 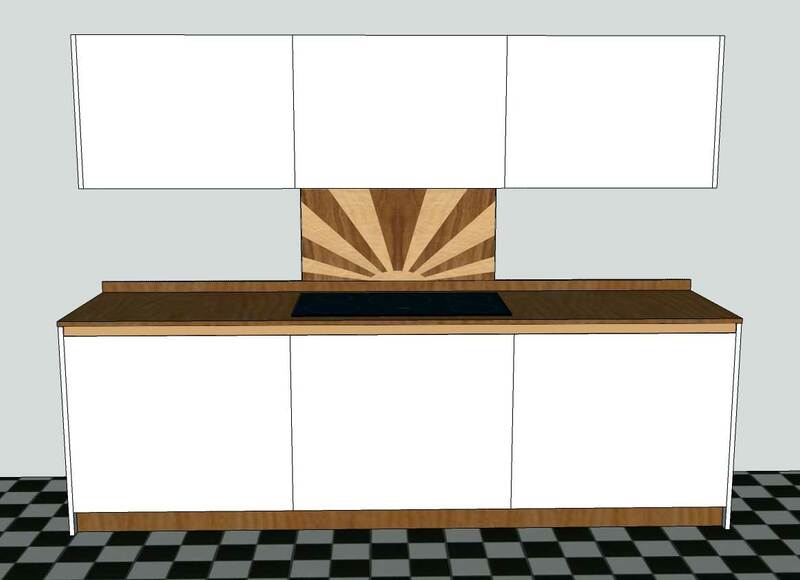 These 2 designs use marquetry wood veneer in 2 shades to produce a classy strong look. While the symetrical design is more popular, much Deco design uses asymetrical design to add interest, and the right design shows how this introduces more interest. 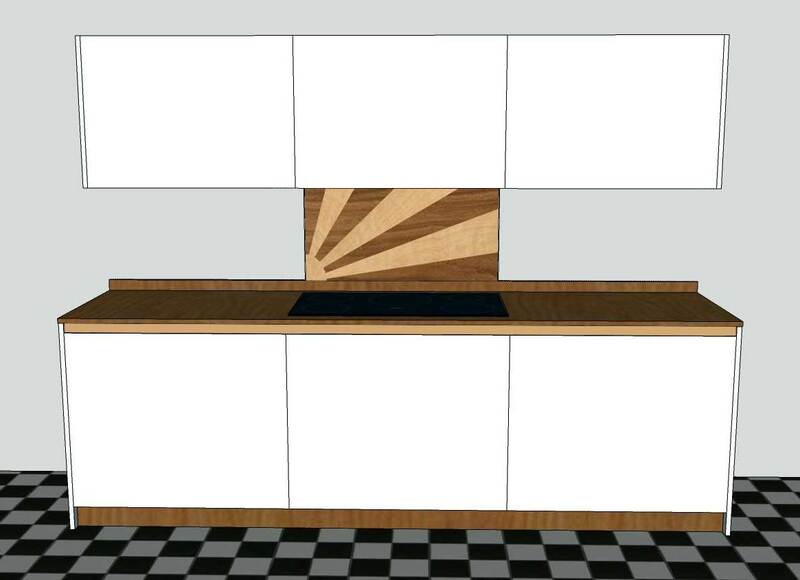 We could supply in a range of wood veneers, which can pick up other woods in the furniture and room, such as plinths, worktops, floors, woodwork, doors, etc etc. These can have a tough lacquer for protection but a glass covering would offer better protection. Made to order.